Why did I choose Food Blogger Pro to help us grow our blog correctly, quickly, & efficiently? Below is a honest review of my ongoing experience as a Food Blogger Pro member & what I have learned. I had no idea of what we were getting ourselves in for when my Mom and I started our blogging journey in July of 2017. We had lots original amazing recipes and so much to share about health—but good intent just isn’t enough in a super competitive niche like food blogging. The social media platforms, food photography, food staging, technical set-up, google analytics, search engine optimization, etc., etc., etc. were completely foreign to me. Searching the internet for answers was frustrating because I could never be sure the information was accurate. Not to mention it was often a huge waste of time that created a lot of dead ends. 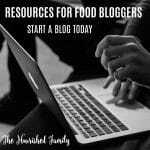 In September the enrollment for Food Blogger Pro opened up. 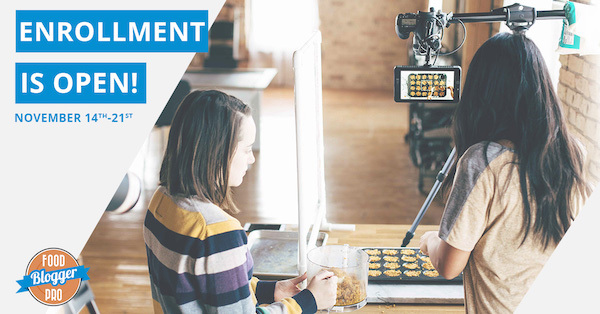 I had already reviewed the course and gleaned a lot of top quality, free information from the course creators, Lindsay and Bjork, over at pinchofyum.com, so there was no hesitation in signing up. The value of what I’ve learned from Food Blogger Pro far exceeds the monetary value of the program cost. The information I obtained will benefit The Nourished Family blog for years to come. Food Blogger Pro is an awesome website that teaches you how to start, grow and monetize your blog. It was founded by Lindsay and Bjork Ostrom, the couple behind the very successful food blog Pinch Of Yum. It has over 300, easy-to-follow tutorial videos and a very active community forum. The videos make it super easy to learn technical skills and apply them to your blog. The community is a great place to get individual attention from industry experts and other bloggers. Food Blogger Pro has over 300 well-organized videos that allowed me to work my way through the course and implement each step I learned. How to build traffic using social media, food sharing sites and Search Engine Optimization. How to take drool-worthy photos in natural or artificial light. How to edit my photos using Photoshop and Lightroom. How to monetize my site using ad networks and affiliate partnerships. How to use plugins to improve my blog and add functionality to my site. How to create an e-book and sell it online. How to use social media and email marketing to improve my traffic and engagement. How to do sponsored content. And so much more. Too much to type it all out! Learning all this was not the only benefit of joining Food Blogger Pro. I also made friends and connected with a bunch of amazing bloggers and industry experts in the community forums. If I’m ever stuck pulling my hair out over a technical problem on my blog, I can pop in the forums and someone will have some advice for me. How great is that? Bloggers helping bloggers! In fact, I can’t believe how inexpensive this course is now that I realize the amount of value it has provided for our blog. And there are no worries because they have a money-back guarantee. There’s absolutely nothing to lose! I’m interested, how do I sign up? Signing up is easy, but you have to act quickly. The Fall enrollment is only open from November 1st-10th. I missed the enrollment dates, what can I do? 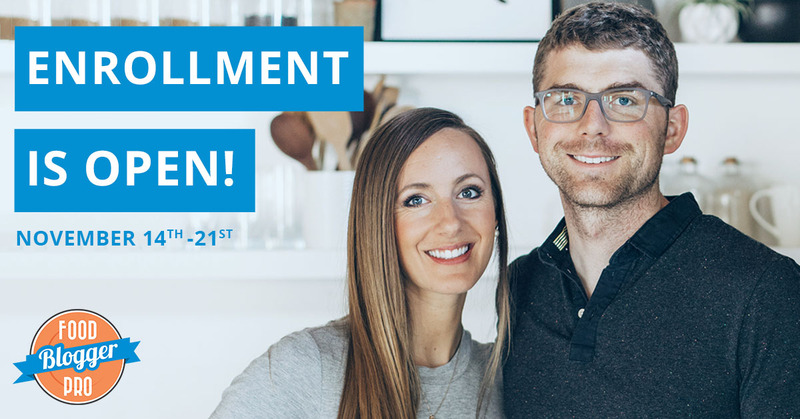 If you missed the enrollment dates, you can join the waiting list by filling out the form on the homepage here: Join the Food Blogger Pro Waiting List! What can I get started on NOW? 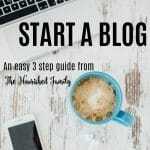 Check out Interested in Starting A Food Blog for a quick, easy to follow 3-step tutorial on getting your blog started today. 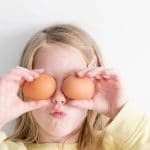 Read about our top recommendations and what we are currently using on The Nourished Family in the post Resources for Food Bloggers. Or you can purchase Lindsay’s Tasty Food Photography e-book (which is what I did) and get started on one of the most important elements of food blogging today! If you’ve been thinking of starting a blog or want to take your current blog to the next level, I strongly suggest you give Food Blogger Pro a try. It’s a wonderful resource with a friendly, helpful community. I hope to see you in the community forums!